The state of Virginia defines an individual’s first DUI offense as a class 1 misdemeanor. If you’re charged, you’ll face an administrative license suspension of 7 days. A conviction carries a minimum fine of $250. If there is a passenger under the age of 18 in the vehicle, there will be an additional mandatory five-day jail term, and you may also face an additional fine of between $500 and $1,000. Virginia imposes a one-year driver’s license revocation, and license reinstatement requires completion of an alcohol safety and education program. You must also use an ignition interlock device on your primary vehicle in order to have your driver’s license reinstated. If you’ve been arrested with a BAC of .15 or higher, you may face a minimum jail sentence of five days. If your BAC was in excess of .20, you’ll have a mandatory minimum incarceration of ten days. If charged, you’ll face an administrative license suspension of 60 days, or until you go to trial. If you’re convicted of a second DUI, you’ll be subjected to a minimum fine of $500, revocation of your driver’s license for three years, and a possible jail sentence of up to a year. You’ll also be required to install an ignition interlock device on every vehicle you own or operate. If your conviction occurs within ten years of your first offense, you’ll face a mandatory minimum 10-day jail term. If you’re convicted within five years of your first offense, you’ll have a mandatory minimum 20-day jail term. If you’re charged, you’ll face an administrative license suspension that lasts until you go to trial. 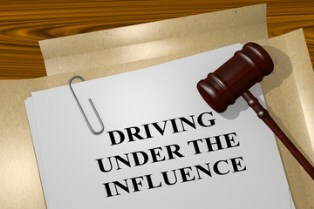 Conviction for a third DUI offense carries a mandatory minimum $1,000 fine, a mandatory indefinite driver’s license revocation, and prosecution as a Class 6 felony. If your conviction occurs within ten years of a previous DUI, there will also be a mandatory minimum 90-day jail term. If you’re convicted within five years of a prior offense, you’ll face a mandatory minimum six-month jail term. A DUI conviction can have severe, long-term repercussions in many areas of your life. Your vehicle insurance rates are almost certain to rise. Your DUI conviction will be a part of your permanent criminal record, and criminal records cannot be expunged in Virginia. This can make obtaining employment, housing, and educational opportunities far more difficult. A criminal conviction can also negatively impact your ability to obtain a government security clearance. Furthermore, if you already have a security clearance, it may be jeopardized by your DUI conviction. If you’ve been charged with a DUI in Virginia, a conviction can result in serious short-term and long-term consequences. You need professional representation by an experienced attorney who understands how to protect your rights. Contact the Law Office of Kearney, Freeman, Fogarty & Joshi, PLLC by clicking the Live Chat button on this page.